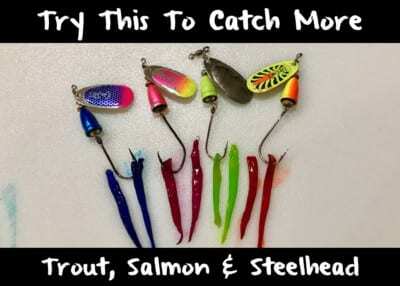 When we first started trolling for salmon in the big lake in May, June and July we ran mostly spoons and flasher flies. However, as the mature kings start to stage in front of their home rivers it’s time to switch to a more aggressive presentation of meat rigs, plugs and big flashers. Fish can be caught on meat throughout the year, but in August meat rigs take center cage. This is the same pattern we see each season. We go through lots of meat rigs the last month of the season. Meat rigs will be effective for the remainder of the season. However, certain color work best in varying conditions, and if you want to be successful you need to troll the best colors at the right time of day. In lowlight conditions, and first thing in the morning, I prefer glow flashers and glow meat rigs. I’ll match the color of the bait that I have dyed with the general color of the meat rig. For example, if I run a Blue Bubble Dreamweaver Spin Doctor with a Blue Moo Big Water Tackle meat rig first thing in the morning I’ll run a blue herring strip. 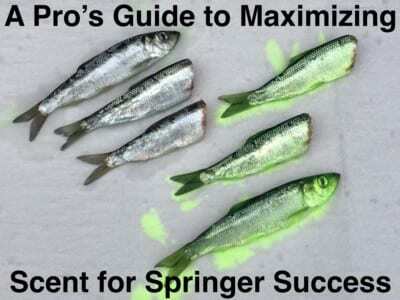 During bright conditions I’ll run a UV Green Sparkle Dreamweaver Spin Doctor with a UV Green Big Water Tackle meat rig and a chartreuse piece of herring in it. I also use Michigan Stinger flashers. 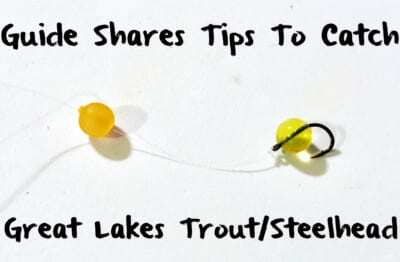 Running meat rigs is no secret to Great Lake salmon trollers. 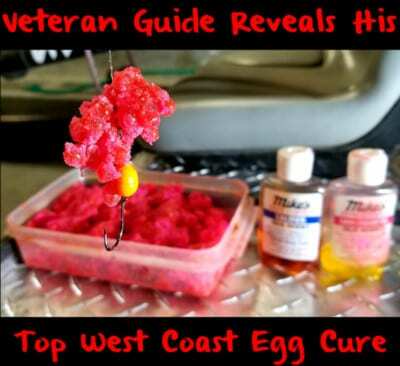 There’s been countless blogs, how-to articles and videos from across the Great Lakes about it. It’s standard practice. Many of us are running them and have been for several years. We brine our meat rigs before fishing them. Brining these baits makes them stand out, shine, glow and gives the salmon something they haven’t seen. It’s also super easy. I brine all my baits in Pautzke Fire Brine and add Fire Dye to make the bait pop and even more vivid. On the other hand, we’ve been going through a ton of herring strips this summer. Unfortunately we don’t always have time to give them a full brine. When that’s the case I’ll fish them right out of the package and squirt Fire Dye on them to bring instant color. If I have time after a charter I’ll use Fire Brine the night before and then add Fire Dye to make the color even stronger. There’s not much to explain when it comes to dying your herring strips. It’s self-explanatory. Start with packs of herring strips and take the herring strips out of the package. Place them in a Tupperware and squirt Fire Dye on them. Let it sit for five minutes and the herring strips will already absorb it. They won’t lose the color. In fact, the bait becomes mangled from strikes before it looses the color. During this step I’ll add Morton Kosher salt to toughen the bait up since I won’t have time to brine them. When we have time for an overnight soak we’ll brine and dye the baits. Brining them makes them tougher, last longer and look better, as we discussed above. We match the color brine to the color dye we use. Therefore, we’ll pour Chartreuse Fire Brine in a Tupperware with a squirt of Chartreuse Fire Dye. The same goes for Blue Fire Brine and Blue Fire Dye. However, the Blue Fire Dye is so potent you only need to add one squirt. Let these baits soak overnight and they’ll be ready to fish in the morning. Editor’s Note: Kyle McClelland operates XXL Chrome Chasing. 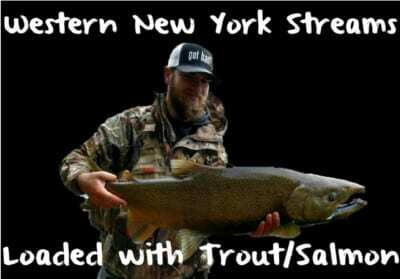 For more info on his guided Lake Michigan charters please visit https://www.facebook.com/XxlChromeChasing.